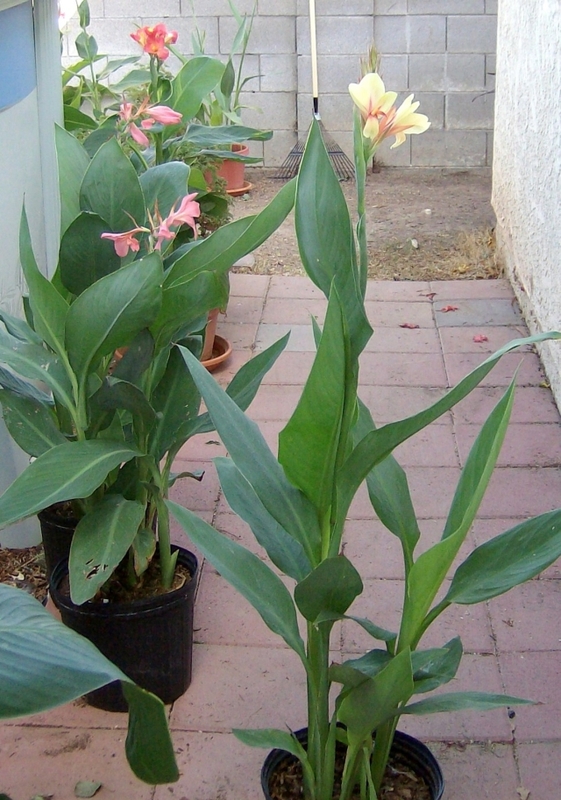 Hummingbird’s Ghost is a seedling of C. ‘Pixie’. 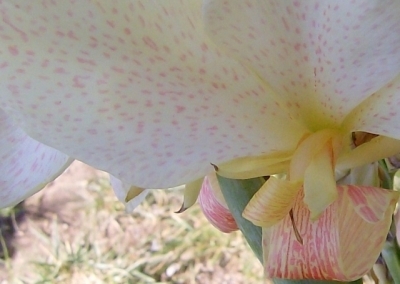 Hummingbird’s Ghost has a cream-colored flower with some pink lines on the labellum. 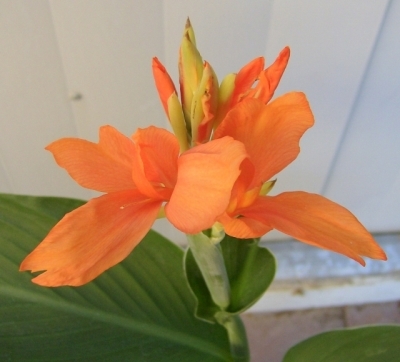 It is shockingly bland for a canna. 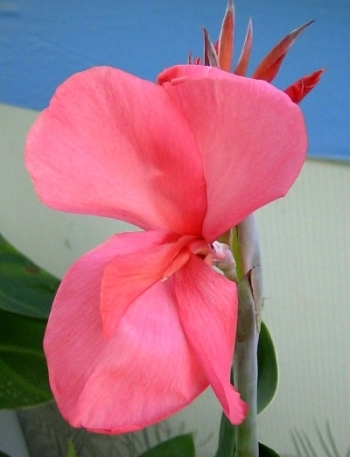 The extra-long stigma made me think of a hummingbird’s beak. 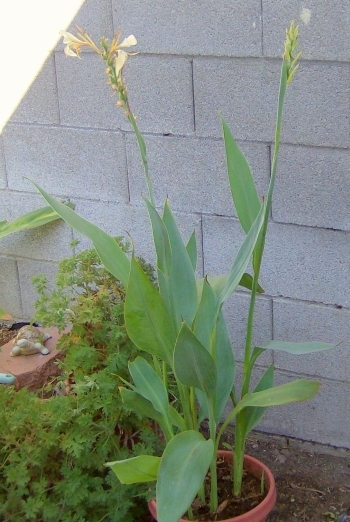 Hummingbird’s Ghost has narrow blue-green leaves. 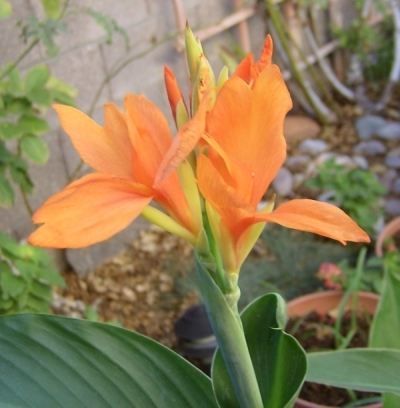 I’m crazy about orange flowers in the garden. 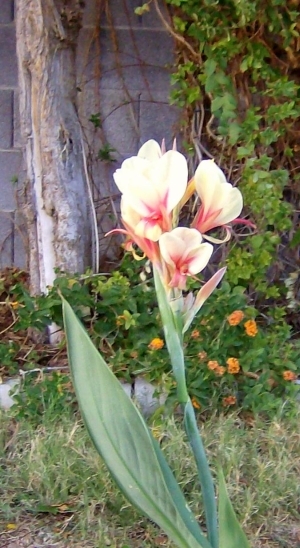 A reflexed flower is one where the petals turn sharply backwards. 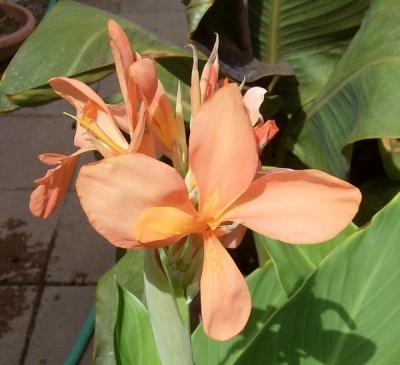 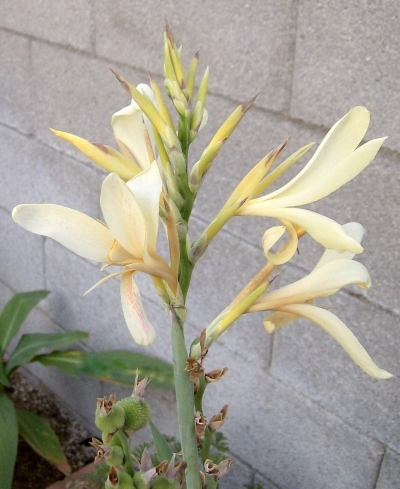 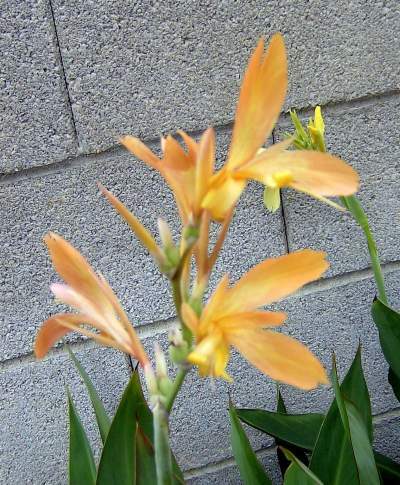 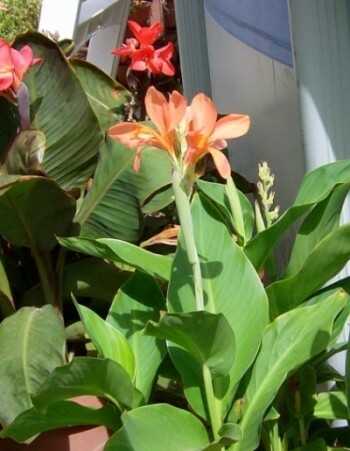 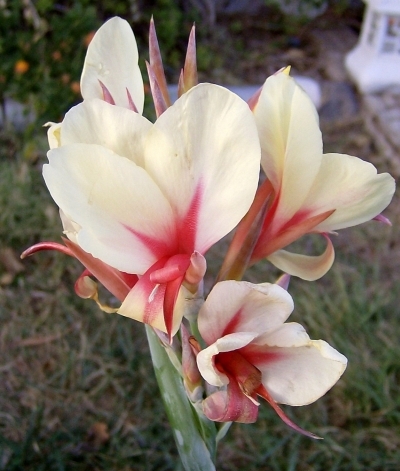 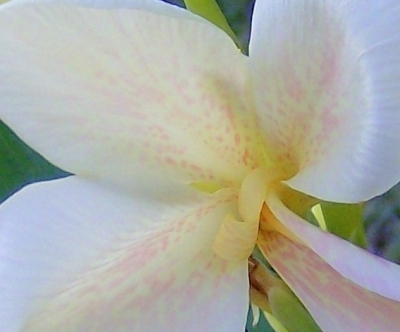 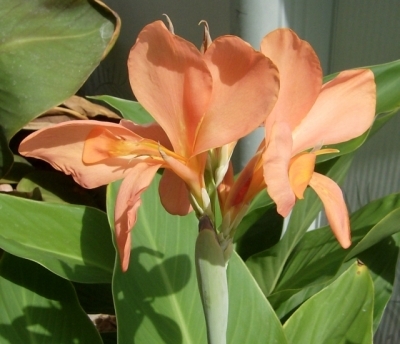 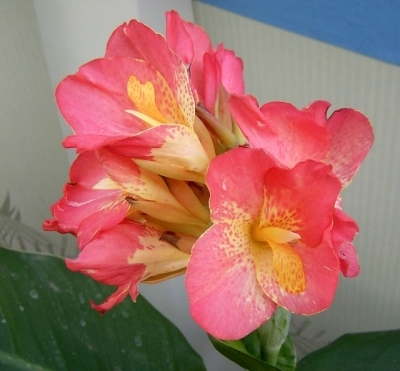 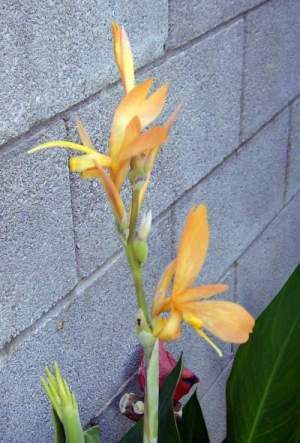 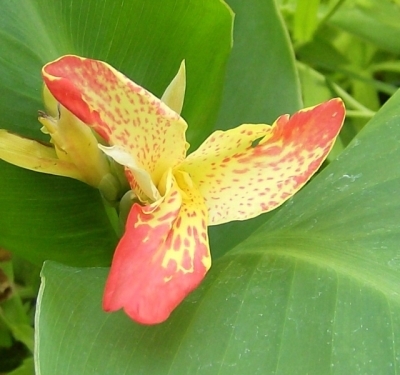 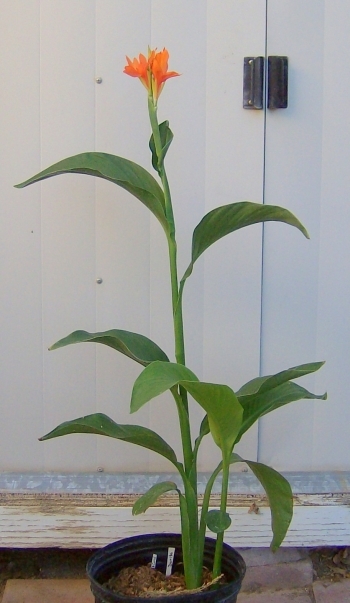 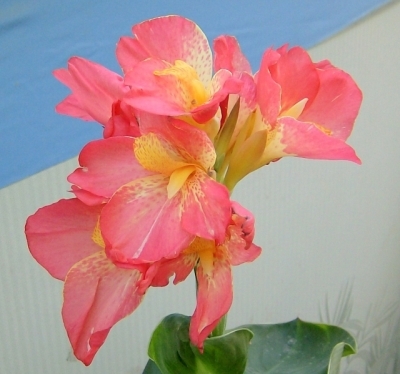 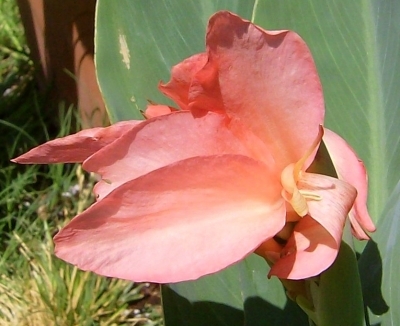 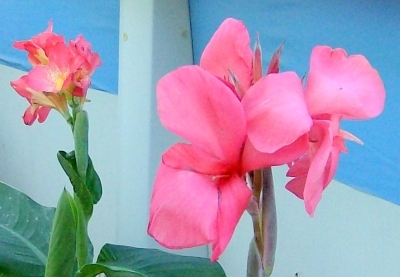 This is a seedling of Canna ‘Thai Princess’. 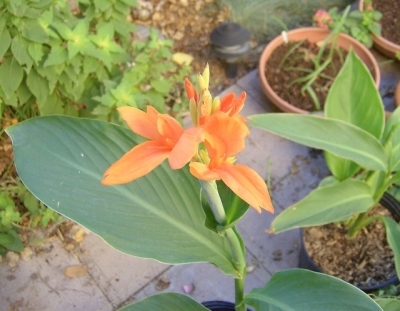 I bought the seeds on eBay.